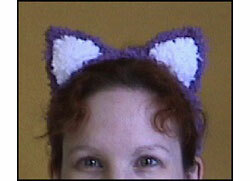 To match the stuffed kitty pattern, you can also knit up these silly cat ears that can be worn like a headband. So you can dress like Kitty while you play with Kitty! :-) The headband ties around your head. 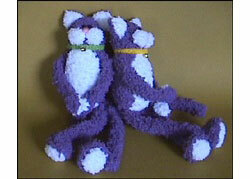 More products from Cari Buziak.